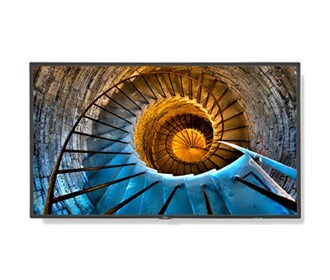 The NEC P484 is a 48” LED backlit professional-grade large screen display. It gives environmental, economic, and aesthetic impact. The P series displays deliver stunning solutions, a thinner and lighter cabinet, and customizable connectivity options. With the addition of a second expansion slot, faster processing times, evolved daisy chain performance, and near field communication capabilities,this new generation of display received a full chassis upgrade. The V484-PC features industrial-strength, premium-grade panel with additional thermal protection, internal temperature sensors with self-diagnostics and fan-based technology that allows it for 24/7 operation. The NEC P484 has many exciting features for users of all types. See the NEC P484 gallery images above for more product views. The NEC P484 is sold as a Brand New Unopened Item.